Norway’s biggest bank, DNB, and the country’s huge sovereign wealth fund known as the Oil Fund are both involved in the construction of a highly controversial oil pipeline project in the US. Norway’s Sami Parliament is now calling on the Oil Fund to withdraw its investments in the companies behind the Dakota Access Pipeline Project, which many claim threatens the health and human rights of indigenous people living in the area. 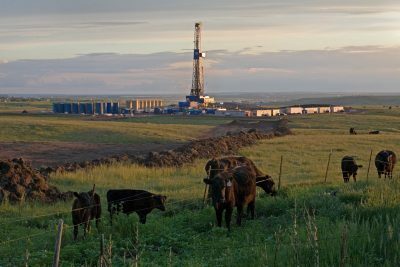 Norway’s state-owned oil company Statoil, meanwhile, has major ownership stakes in the shale oil coming out of the Bakken formation in North Dakota that’s due to flow through the pipeline. Statoil bought the Brigham Exploration Co in 2011, and thereby took over what Statoil called Brigham’s “strong position” in the “attractive” Bakken (named for a Norwegian immigrant in North Dakota) and Three Forks projects. Both are considered to be among the largest “oil accumulations” in the US. There’s no question, though, that DNB is heavily involved after lending around NOK 2.8 billion to the pipeline project. Norwegian Broadcasting (NRK) reported Monday night that DNB is among 38 banks taking part in the project that’s estimated to cost a total around USD 3.7 billion (NOK 30 billion). The Dakota Access Pipeline Project is itself owned by eight oil and energy companies including Sunoco Logistics, Phillips 66 and Energy Transfer. Norway’s Oil Fund has in turn invested billions in the companies, which are responsible for the pipeline’s construction and operation. The controversy is over how the pipeline will run under not only sacred burial sites at the Sioux nation’s Standing Rock Reservation but also pose a hazard to their groundwater and drinking water. The Sioux are furious that not only were they not consulted on the huge project that will rip through what’s supposed to be their land, their concerns have not been heard. The Sioux and many others have held massive demonstrations against the project that police have tried to put down. Sjåfjell, who specializes in regulation of Norwegian and multinational companies and their reputations, said there are other problems with the pipeline project. “Here we see that there’s a danger for serious environmental hazards and violation of human rights, also that the demonstrators’ rights to freedom of expression have been violated,” Sjåfjell said. A spokesman for the Oil Fund, which has invested around NOK 6.7 billion in some of the companies involved, refused to comment on the individual investments. “But we expect that companies in which we invest respect human rights and keep them in consideration in their business activities,” he told Aftenposten. Several indigenous Sami people from Norway have traveled to the US to take part in the pipeline protests. Now they’ve also written a letter to the Norwegian Finance Ministry’s ethics council that monitors Oil Fund investments. “We’re asking the ethics council to evaluate whether the Oil Fund should withdraw its investments in companies tied to the oil pipeline,” Silje Karina Muotka of the Sami Parliament told Aftenposten. The Oil Fund has stressed that it has no direct interest stakes in the pipeline project, rather in the companies owning the project. The council responded that “responsible management” is an important part of the Oil Fund’s work. DNB spokesman Even Westerveld said the bank understood that such projects can spark concern. “That’s why it’s so important that projects follow all the rules, laws and conventions, and not least have good dialogue with everyone affected,” he told NRK. Westerveld claimed it is more environmentally friendly to transport oil by pipelines instead of railroads or tanker trucks. He also said companies financed by DNB are not supposed to violate human rights. 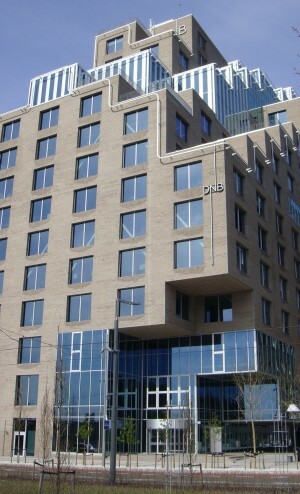 “DNB has so far been unable to confirm that the project violates human rights,” Westerveld said. “We nonetheless are looking at the claims against the companies seriously.” He said DNB has been in touch with its borrowers over the past six weeks and posed many questions about the social and environmental aspects of the pipeline. Matthias Åhrén, an assistant professor at the University of Northern Norway in Tromsø, thinks the companies involved have violated the Sioux’ right to practice their culture, their rights to health and clean water and their right to being informed and consulted about the project on their reservation land. Sjåfjell thinks the Oil Fund should either pressure the companies in which it has invested to withdraw from the project or that the Fund itself should dump its stock in the companies. “Norges Bank (Norway’s central bank, which controls the Oil Fund) should have evaluated whether this pipeline project can be defended based on its financial risk,” she told NRK.